The [Maryland Transportation Authority] is on the stump to encourage drivers to use the new toll road. Last Sunday, MdTA had a booth at the Bethesda Farmer’s Market. Workers handed out literature showing how to sign up for E-ZPass, without which drivers on the ICC face an additional charge. Promoting the ICC seems a strange use of state money when Maryland’s governor has set a state goal of doubling transit use by 2020. An MdTA spokesperson claimed that this is standard outreach aimed at encouraging use of the electronic E-ZPass system to pay tolls. But the focus of the agency’s signage was the ICC itself, not the electronic pay system. If the ICC were an isolated road, encouraging more people to use it might not be a problem. 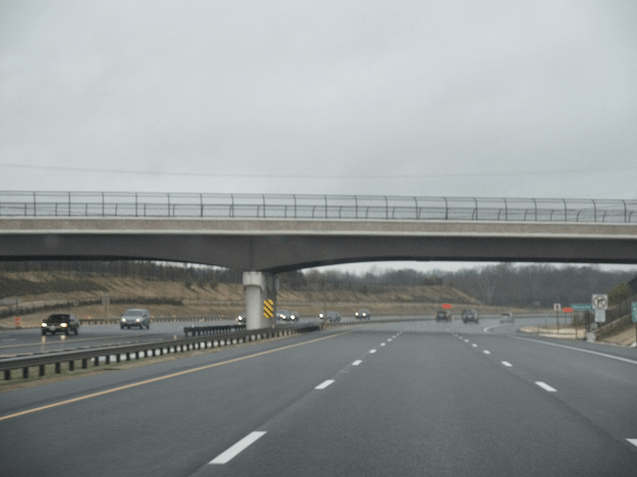 Yet drivers on the ICC access it from other crowded roads, such as I-270, Route 29 and I-95. These roads need fewer drivers, not more. Elsewhere on the Network today: Transit in Utah wonders if state governments are ill-suited to address contemporary challenges. Hard Drive breaks down Tuesday night’s Presidential debate to measure the depth of discussion on transportation issues. And Systemic Failure laughs at the weak tea plans to make San Jose’s monstrously wide Capitol Expressway pedestrian-friendly.